We pride ourselves on providing a truly British experience for international students and our Homestay Accommodation Programme is one of the key components to this. 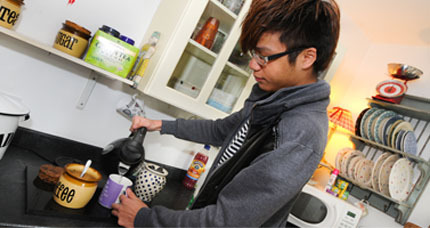 Living with a homestay host is one of the best ways to enjoy British culture and lifestyle. You will have the opportunity to get involved in everyday life, from eating together to watching British television. You will travel to college by bus or train just like our local students do from nearby towns and villages. Homestay hosts welcome students into their homes where English is spoken, providing an excellent way for you to practise conversational English outside of college. 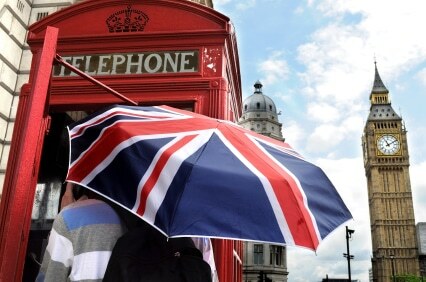 You will also learn a lot about British culture and daily life. You will have your own bedroom with a desk, or table and chair, a wardrobe or hanging space, drawer space, a bedside table and shelves for books and personal belongings. Use of electricity, gas and water and a bathroom is also included. Your homestay host may have a pet, which is very common in the UK. As part of the application process, we ask you to give us information about your preferences which will help us match you with the most suitable host. All hosts are selected, inspected and monitored by our international team, and all family members have to pass a Disclosure and Barring Services (DBS) check. What should you expect from your homestay experience? We are here to help each student settle into their new life and help with any problems. You will eat breakfast and dinner with the family on weekdays, and breakfast, lunch and dinner at the weekend and during periods of holiday. You are welcome to use their kitchen to prepare meals. The Hard Brock Café at the College sells lunch, drinks and snacks. Some British supermarkets have a ‘world foods’ aisle where you can find a broader selection of food items from around the world. All homestay hosts are required to provide internet access for you to use. Please check with your host regarding download limits. Friends may visit you at your home but you should always ask for permission from your host first. Your homestay host will do your laundry once or twice a week, when convenient. Any items which require dry cleaning or special care are your responsibility, and not the responsibility of your host. If you have a medical problem, your homestay host will contact a Doctor/hospital/Dentist on your behalf if necessary. You can register with a local surgery on your arrival; your host will be able to tell you where the nearest medical centre is. How much does it cost to become a homestay student? Thinking of becoming a homestay host? When you are ready to apply, proceed directly to the application form by clicking the button below. This may take 10-15 minutes to complete. Please download and read the Homestay Handbook below. This will tell you what to expect as a Homestay Provider and what we expect from you. If you would like further information about the Homestay Programme, please complete the form below. Alternatively, call the International team directly on 01590 625325.